We are working on a study related to Cooling Towers. We want to decrease cooling water supply temperature going to steam condenser to maintain vacuum inside it. 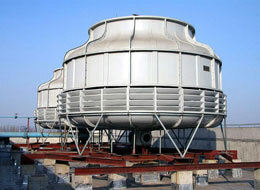 One way is to increase capacity of cooling tower by installing another cooling tower cell. Other way is to keep the same cooling tower and install variable frequency drive (VFD) on cooling tower fans so that we can increase fan speed (hence increase air flow) to get the required cooling and reduced cooling water supply temperature. To achieve required cooling water supply temperature, can we increase 20% cooling tower fan speed from its full rpm without any damage or wear & tear to system or fan itself because I believe momentum of fan will increase which may damage fan blades or rupture blade joints, but depends on fan design etc. For example a 50 hp induction motor is installed for running the shaft as 1470 rpm. After motor, there is gear box installed with motor shaft that reduces the rpm from 1470 to 114 at fan inlet. This means that fan will be running on 114 rpm. If we install variable frequency drive and replace current motor with special inverter duty motor to run on variable speeds. Now, we increase speed of motor from VFD and ultimately increasing speed of fan. We want to reduce supply temperature by 2 – 3 degrees via increasing fan speed (hence air flow) through VFD. 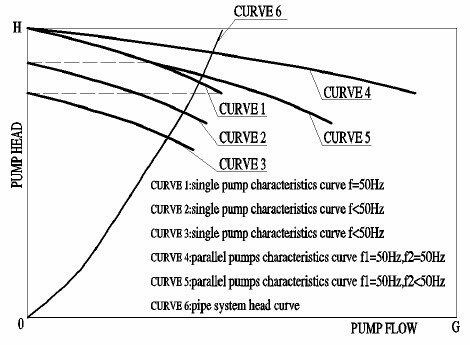 Increasing the fan speed will increase the air flow; but it will have effect on energy consumption and the increased rpm would affect the shaft of the fan because of increased rotational stress, besides subjecting the whole structure to vibration. 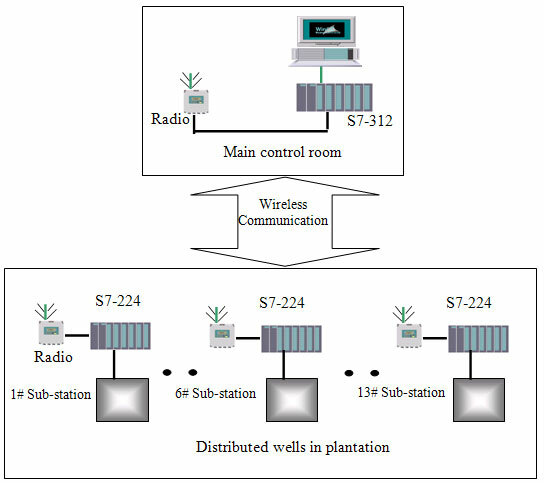 It is therefore advisable to contact the designer or the supplier as the relative humidity in case of Cooling Towers is the controlling parameter, which in the case is 50%. So, if structural stability calculation from the supplier allows you, you may go for the option you have thought. I don't understand the need for a VFD. If you want to increase the fan speed, then you can change the motor and drive to provide the increased speed. However, VFDs are only used for controlling the speed. In a case like this, you will want the fan to operate at the maximum speed. VFDs are a good idea for energy savings and the cost and the size in the MCC have gone down, making them more economic. However, for large cooling tower fans, I think that a fixed speed motor is sufficient. I hope you have also considered the increased drift losses from the cooling tower. Drift is the loss of liquid water from the cooling tower. The only cooling effect from drift loss is the effect of cooler makeup water temperature lowering the cooling tower exit temperature. If your feed water costs or chemical treatment costs are high the drift effect of increasing the speed of the fans could cost much more than just the added electrical cost. Reduce cooling tower fan speed through VFD will save electrical energy. But condenser vacuum has become main hurdle as reducing speed will increase supply cooling water temperature causing lesser steam condensation and hence lesser condenser vacuum. Their generator is design in such a way that it doesn't reduce load on such condition and instead it increases fuel usage to fulfill the required steam flow for that particular load in steam turbines. So, considering alternate solution that instead of reducing cooling tower fan speed, to increase fan speed to 5 - 10% so that cooling water supply temperature will reduce causing higher vacuum in condenser and hence more steam condensation (more steam flow) and ultimately reducing fuel usage. So this decrease in fuel usage will be the savings.